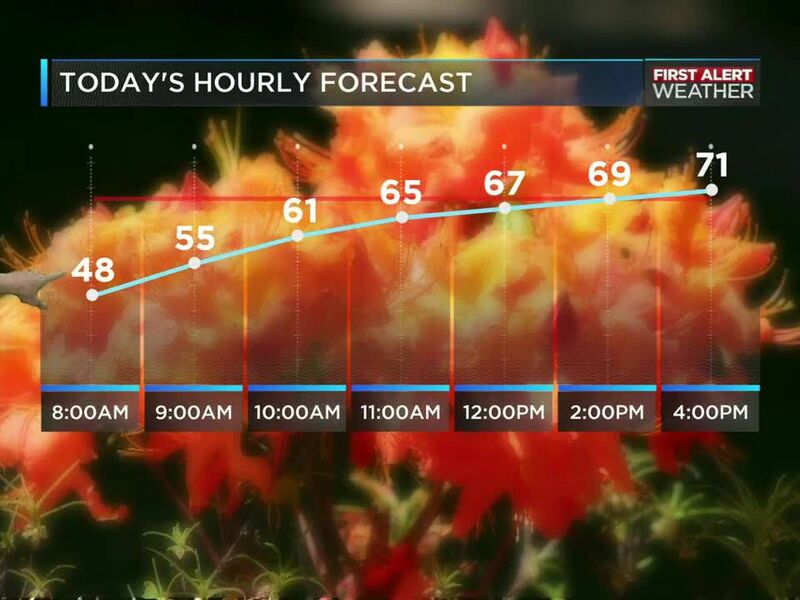 CHARLOTTE, NC (WBTV) - Temperatures have been below average from beginning to end today. It has been beautiful though! We will be able to keep the sun around a bit longer and the warm-up will come eventually. Spring officially arrives at 5:58 p.m. on Wednesday. Temperatures will still be a few degrees below average tomorrow but we will be almost exactly on track by Thursday, when we reach the mid 60s. Rain chances remain low. There is a 10% chance on Wednesday evening. The better chance comes in overnight and should be out of here by early Thursday. There’s a 20% chance during the day on Thursday. Friday and the weekend couldn’t be much better! First of all, it will be dry! Temps will be in the mid to upper 50s on Friday and Saturday. Sunday could take us to the low 70s. The next real rain chance holds off until next week.